Accueil / Fiche vin en anglais / Elle est pas bulle la vie ? This sparkling wine’s entertaining notes will intrigue you. Hints of peaches and citrus fruits, a melody sewn by golden bubbles. These festive bubbles are created according to the vinification methods of natural sparkling wine. 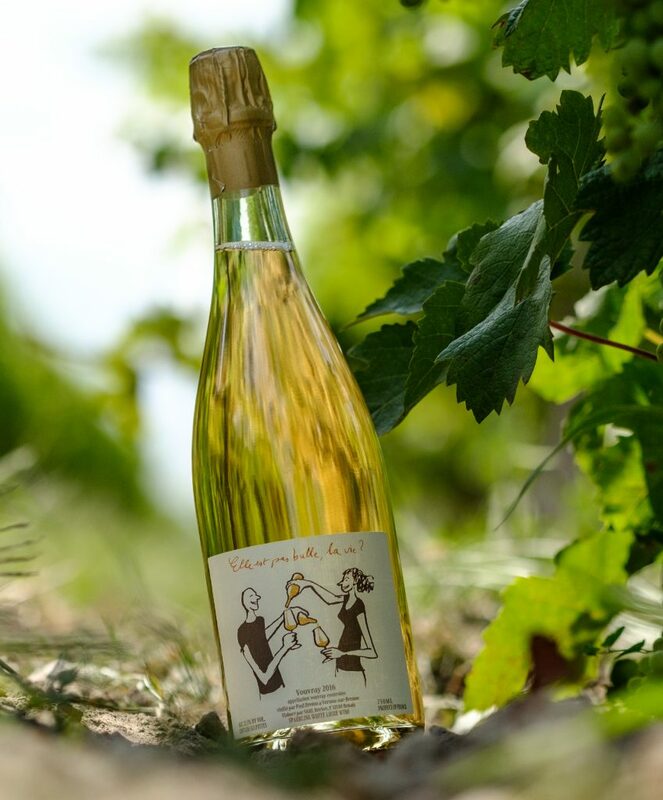 The base wine is Vouvray for the 2016, natural development of bubbles with native yeasts at the end of the alcoholic fermentation, residual Sugars 10 grams, 5 bars of pressure.